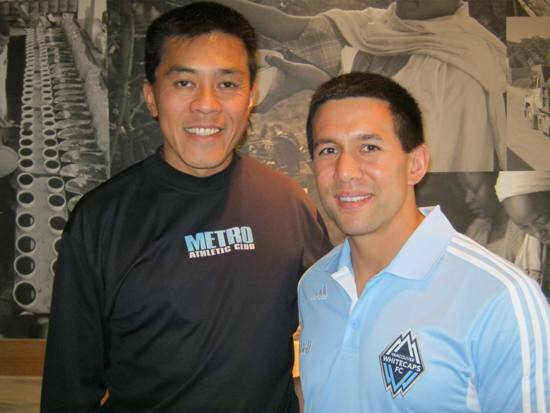 Mike Young (Ph.D.) is probably best known as the founder of EliteTrack.com, but he is also the First Team Fitness Coach at Vancouver Whitecaps FC and the owner of HPC-Athletic Lab – a sport performance training and research center in Cary, NC. He has coached 7 athletes (four of them Masters) to win a combined total of 15 USATF National Champions and his club has had at least one athlete in every indoor and outdoor USATF national championship since its inception in 2008. Most recently, his decathlete Eric Broadbent won the 2012 US Heptathlon championship and placed 14th at the 2012 US Olympic Trials. In my past visit to Vancouver, I had a chance to sit down with Mike at a local Starbucks (which are everywhere) and had a very inspirational talk. 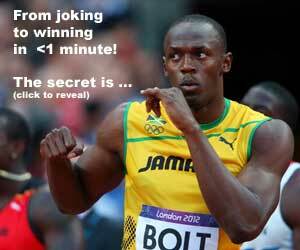 Q1 – SpeedEndurance.com: “Max speed” is often the hot topic with many blogs, especially those in strength and condoning. With huge debate on horizontal and vertical forces as well as specific muscle groups such as calves, hamstrings, glutes, quads, and even core and upper body being the holy grail, what are the real bottlenecks in top speed? Can the force plate data and of Ralph Mann and Peter Weyand show enough evidence that a combination of the right force profile in all planes is necessary for world class performance? Mike Young: While many think there’s a single magic bullet, I don’t think something as complex as speed can be distilled to an exercise, drill, specific force vector or workout. The attainment of top speed is multi-factorial with many things being intertwined and I think anyone who claims to have "the secret" has immediately discredited themselves for having any advice worth hearing. In my opinion, there are two interlinked bottlenecks to top end speed. The first is simply the ability to accelerate. It sounds simple, but the people with the best top end speed tend to accelerate smoother, longer and with more mechanical proficiency at every phase from the start until they are upright at top end speed. The second limiter is the ability to generate forces eccentrically. The faster you run, the more load you experience at touchdown. This requires the athlete to have the capacity to resist those downward forces. It also requires the athlete to overcome the inevitable breaking forces in order to harness the potential elastic response even before they can ultimately produce a beneficial propulsive force (upward AND forward) in a very limited amount of time. The available force plate data has some serious methodological limitations right now and while there’s useful information to be gleaned, I think we’re still getting a very unclear picture of what’s happening. I’m excited to see what results are produced when sprinters across a wide performance continuum (good to elite) are studied sprinting across 3D force platforms on flat ground at true maximum velocity rather than treadmills at sub-maximal speeds. I suspect what we’ll find is that the whole vertical force vs. horizontal force debate is going to be somewhat of a moot point based more on semantics rather than what is actually happening or what can actually be trained. I believe that from a coaching standpoint, the change of force vector is so fast in elite sprinting (ground contact <0.1 second), what we’re calling ‘vertical’ and ‘horizontal’ is basically the outcome of the same mechanics and physical qualities. Q2 – SpeedEndurance.com: You have a lot of influence on the health and wellbeing of athletes and have had some very firm stances on reducing injuries from good training. Any common injuries you see can be reduced by smart training (hamstring and adductor pulls) outside of the glute activation and static stretching options? What are some cultural problems you have seen internationally that can be modified for North American athletes to learn what NOT to do? Mike Young: I’ve been pretty critical of ‘functional’ and ‘activation’ exercises in the past because there is little evidence that they do anything but waste time that could otherwise be used for real training. In my opinion, sound and holistic training with a progressive overload is both performance enhancing and the best means of preventing injury. I’ve seen many issues of the lumbo-pelvic-hip complex (adductor strains, excessive anterior tilt, psoas tightness, high hamstring pulls, etc) solved through appropriate and comprehensive warm-up protocols, regular use of hurdle mobility work and deep squatting. The warm-up is an opportunity to prepare the body for the specific demands of the session thermodynamically, elastically, neurologically, and posturally. Due to the lower-intensity nature of a warm-up, you can address many physical capacities without derailing the intended focus of the session. In the case of hurdle mobility training and deep squatting, you can re-establish and ingrain the natural pelvic-rhythm through the full range of motion that many athletes lose as a consequence of a 21st century lifestyle. This has huge implications for both performance and health. Many international athletes have little familiarity with the weight room or even auxiliary physical training outside of their sport specific sessions. While it is possible to succeed in this scenario, I don’t feel it’s one that leads to a maximized and lengthy career. Q3 – SpeedEndurance.com: (We had this discussion on our Facebook accounts, but I’ll ask it again for the readers) Repeat Sprint Ability is a good indicator of preparation in soccer but not the only option in developing that quality. How would one test it and how would one develop the ability to sprint without doing excessive running? Any insight here with your athletics background? Mike Young: We do strikingly little run volume to increase repeat sprint ability. We do, however, address it fairly frequently (~2x / week) and what we do is of very high quality. I try to address what research indicates as the limiters of repeat sprint ability (1, 2). On one extreme of that continuum, I do traditional acceleration / speed development runs of 10-40m in length with nearly complete recovery. This is used to enhance neuromuscular coordination, power, and acceleration mechanics. On the other extreme of the continuum, I develop the aerobic engine, which, contrary to what many believe, is the back bone for sustained and repeated sprint bouts when the rest period is incomplete and the efforts are repeated. This is accomplished through occasional low-intensity steady state runs and the aerobic stimulus of a continuous movement two hour technical / tactical practice session. Finally, to specifically address an athlete’s repeat sprint ability, I will try to incorporate at least one repeat sprint training session a week. I will most often incorporate some changes of direction in these sessions to better simulate what is required in games and design the workouts around specific work:rest ratios. The average rest period between hard efforts for a very fit professional soccer player is around 30-40 seconds, depending on their position, so I try to use this as a general guideline for designing the workouts. For anaerobic-glycolytic development, we really only do about one session per week. With the training stimulus from games and small-sided game simulation in practice, combined with the fact that the game is rarely played in a state of high lactate values, I don’t think there’s a need for more. Q4 – SpeedEndurance.com: Power is vital to keeping athlete healthy and fast, how do you develop lower body power and how do you monitor fatigue? The fine line of being weak or tired from too little or too much is difficult. What are you doing to help manage a nearly overwhelming challenge in soccer. Mike Young: Power is definitely one of the more important things I try to maintain throughout the season. Even when opportunities to train are limited (like this month when we have seven games…five of which are on the road), I let our strength values take a hit and place a greater emphasis on power. Research indicates that power indices tend to match up better with performance on the pitch. (3, 4, 5). I really try to keep things pretty simple and limit the amount of variation when in-season to limit soreness and fatigue from novel activities. In addition to sprinting, we’ll also incorporate plyometric activities with complete recovery and some team-friendly explosive movements in the gym [kettlebell swings, medicine ball (multi) throws, jump squats with light weight, explosive step ups, etc]. As for monitoring fatigue, this is something that I’ve been able to take to another level now that I’m working with a single team of guys rather than 100+ athletes in different sports. Thankfully, I’ve mentored under some great coaches and I’ve worked with enough elite athletes to have a good feel for the non-training related markers of fatigue. Watching for things like changes in mood, motivation, body language, movement patterns and balance are all no-tech, old-school and pragmatic means of monitoring fatigue. I ‘verify’ these subjective findings by using a self-made quantitative system that takes the following into account: biomechanical (sprint and plyo volumes, gym intensities) and physiological (Polar T2 heart rate monitoring) training stress, game stress (minutes played and Prozone statistics when available), travel stress, injury profile and player survey data. It’s an imperfect system, but it is evolving rapidly and producing solid indications for when to increase or decrease a player’s training stress and when to incorporate restoration interventions. Q5 – SpeedEndurance.com: Skill in the sport of soccer is a clear must, as not the best athletes make the best soccer players. With a background in pedagogy many soccer coaches can benefit from athlete development coaches in designing practices. Any good resources here that are outside the box in getting athlete to acquire skills besides just doing mindless reps? Mike Young: I’m a huge advocate of incorporating motor learning best practices on feedback and contextual interference into training sessions. This is often difficult to do in team technical / tactical training settings though. As a fitness coach, I can make suggestions on practice session design, but it is not my role and it’s certainly not my expertise to design the session. That being said, the smart coach (like we have in Vancouver) has often discovered these techniques without even knowing it. My biggest tips to coaches attempting to enhance skill acquisition: minimize the use of feedback, make what feedback you do deliver meaningful, honest and specific, primarily utilize an external focus of attention and introduce contextual interference when appropriate. It’s important to tell the athletes that you’re not ignoring them or preventing them from ‘getting into a rhythm’ by doing these things, but instead, you are enhancing their likelihood for long term skill acquisition. The answers were very informative and if I translate it from PHD researcher speak to terms anyone can understand is Mike saying if you want to improve all aspects of your life and athletic performance all you need to do is more heavy squats? @OKtav, I will migrating to Livefyre for comments soon!